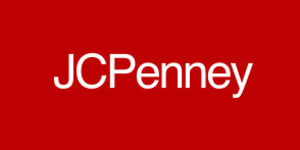 JCPenney: Free shipping everyday anywhere over $99, or to stores over $49. Purchase or redemption of gift cards. Cash Back is not valid on high volume orders. JCPenney reserves the right to flag purchases if numerous items purchased in 1 sale or over a period of time. At JCPenney, 'Style and value for all' is their promise to hardworking American families everywhere. They know that every penny counts, and they respect their customer's money and what it took to earn it. Through 'Style and value for all,' they're connecting and engaging with their customers like never before, while also shifting perceptions of JCPenney by attracting new customers and inviting them to rediscover the incredible style and value they have to offer.